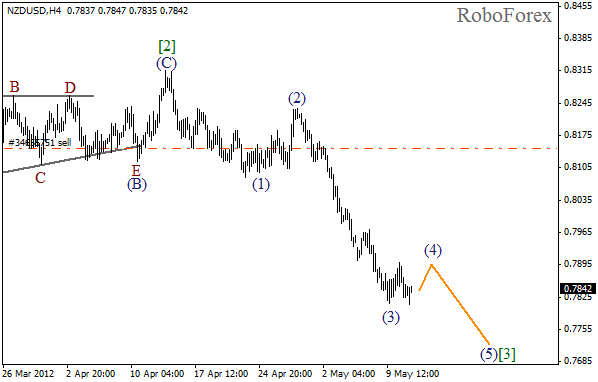 At the H4 chart of the NZD/USD currency pair the price continues forming a descending impulse in wave . On the minor wave level we can see the formation of the fourth wave. In the near term, we can expect the local correction to be finished and the price to start falling down again. More detailed wave structure is shown on the H1 chart. 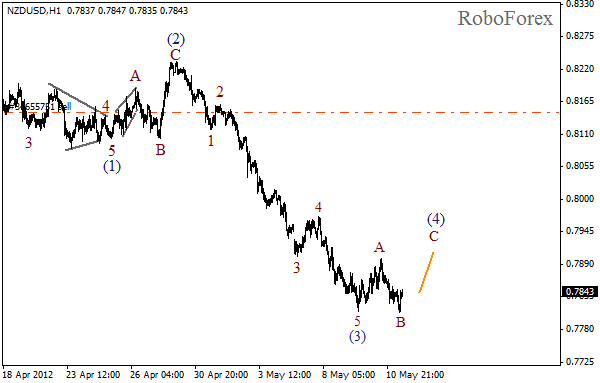 It looks like the price has completed wave B inside wave (4). In the near term, we can expect the price to grow up a bit in wave C of (4), however after that the pair may continue moving downwards. Yesterday I opened one more sell order, the fourth one. 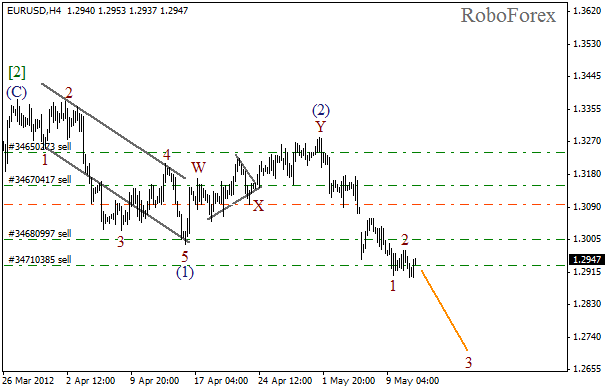 It looks like Euro is finishing the formation of wave (3). On the minor wave level the price is ready to start forming wave 3. 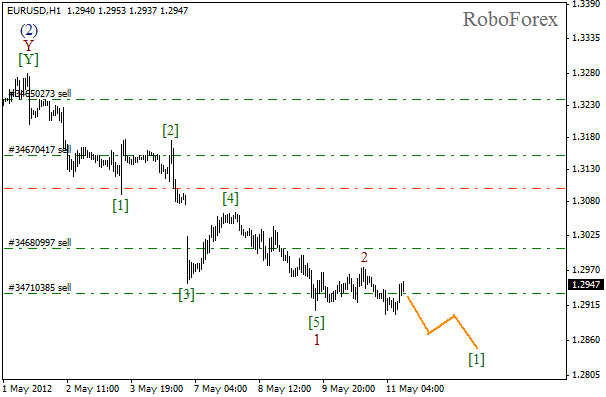 The short-term target is at the level of 1.2700. As we can see at the H1 chart, the price is forming an initial impulse in wave . We may assume that wave 2 was finished a bit earlier. There is a possibility that Euro may reach a new local minimum on Friday.